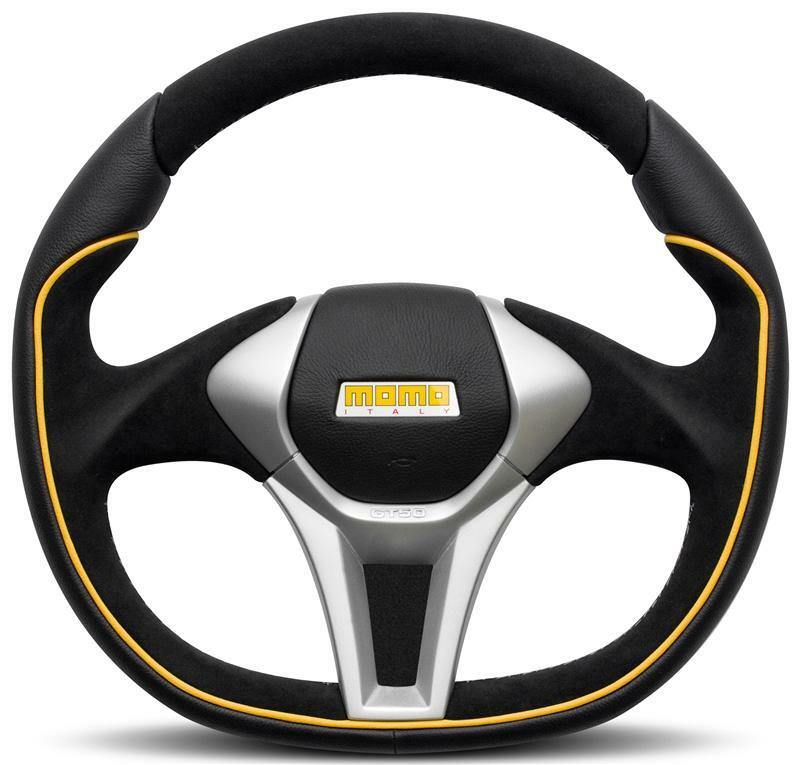 GT50, the new generation of Momo steering wheels. Its innovative design features a matt chrome shell surrounding a genuine leather pad in the center. The anatomic grip is a sophisticated combination of black leather and Alcantara with yellow leather piping. GT50, the new generation of Momo steering wheels. Its innovative design features a matt chrome shell surrounding a genuine leather pad in the center. The anatomic grip is a sophisticated combination of black leather and Alcantara with yellow leather piping.